This was the first photograph I took when I came to live in the South Island. 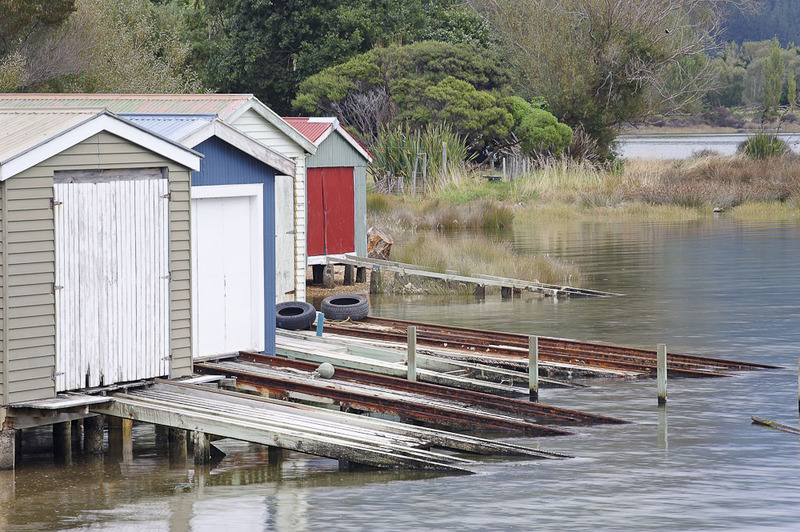 Deciding to take the scenic route from Picton to Nelson, these sheds by the water’s edge leapt out at me because of their colour against the all dominant green. I also think they represent the importance that Kiwis place on the outdoor life – humble structures freshly painted and cared for.